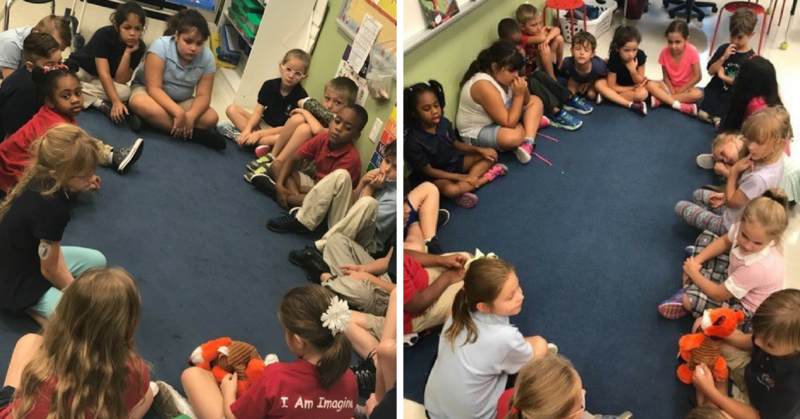 Scholars select questions from the circle basket for a Character Based Restorative Circle at Imagine School at Palmer Ranch. We love this time of year! Our older scholars are transitioning to higher education, remarkable teachers are honored and Character.org announces its Promising Practices Awards! 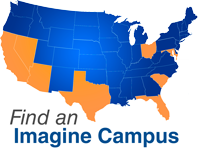 This year, we are so incredibly proud to share that a total of 26 Imagine campuses are being recognized. Together, the 26 schools share 41 Promising Practices, beating last year’s total of 38! 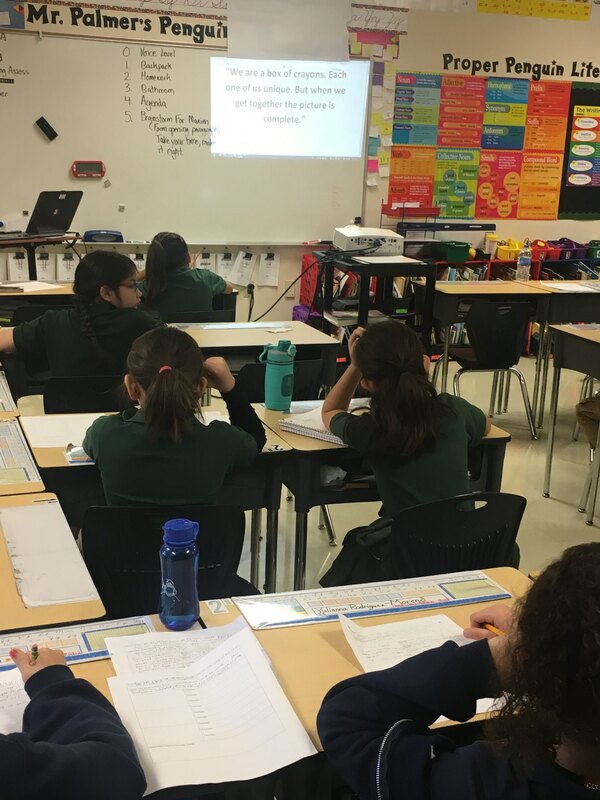 The Promising Practices are awarded to schools across the country that have successfully implemented a unique character practice that falls into one or more of the 11 Principles of Effective Character Education. 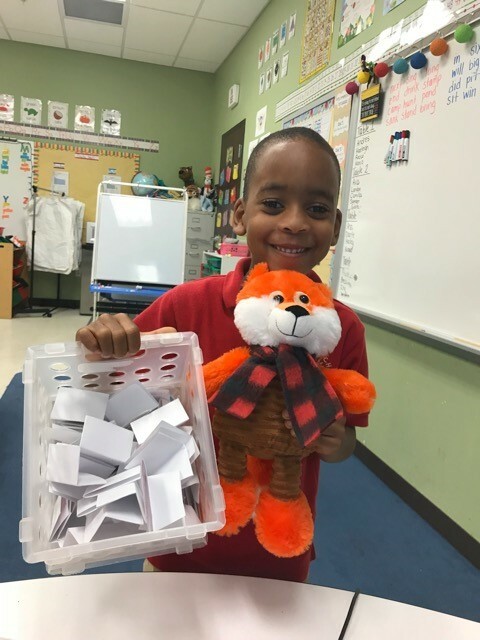 Schools submit their practice to Character.org in hopes of sharing a specific program or aspect of character education with other schools to foster collaboration and character development. The programs our campuses created this school year ranged from bullying prevention and acts of kindness to peer mentoring and mediation. Describe your character practice for Noteworthy readers. How does your practice contribute to character development? Imagine School at Palmer Ranch scholars participate in Character Based Restorative Circles. What Principle and Topic does your practice fit under? Imagine School at Mountain View demonstrates its Character Maxims practice. How does your practice work toward character development? Why did you choose to implement this practice at Tolson? 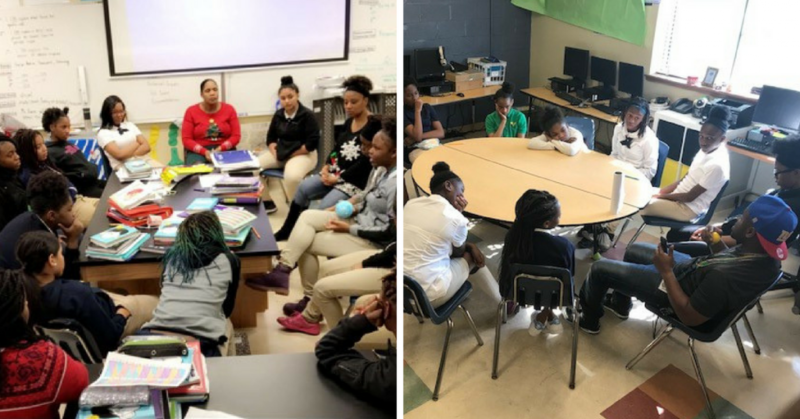 Restorative Justice Circle Time at Imagine Hope PCS – Tolson. Please join us in congratulating the following campuses for their achievements! We’re so proud of our 26 campuses and 41 Promising Practices awards. Individually, we work toward character development each day, but when every campus in our network is intentional in developing character, it transforms entire communities. Learn more about applying for a Character.org Promising Practices Award.